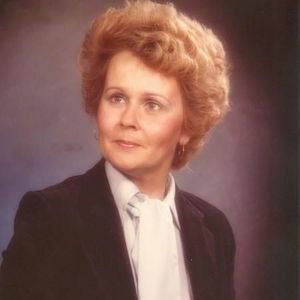 Barbara Sletten Fisher, 64, Wyoming, Minnesota, originally Wahpeton, ND, passed away unexpectedly Thursday, May 16, at her residence. A local Memorial Service will be Tuesday, 1:30 PM, May 28, at Bethel Lutheran Church, Wahpeton with Rev. Jim Gustafson officiating. There will be visitation and sharing with the family one hour before the service on Tuesday. Interment will be at Fairview Cemetery. Vertin-Munson Funeral Home has been entrusted with local arrangements. Barb was born May 25, 1948 in Wahpeton, ND, the daughter of Milton and Constance (Floyd) Sletten. She attended school in Wahpeton and graduated from Wahpeton High School in 1964. She attended NDSSS where she sang in the Choir. She started working in Fargo and continued living and working there for several years. Barb later moved to St. Paul, MN. She married Denny Fisher in 1990; the couple lived in Forest Lake where Barb worked. One of her favorite jobs was working for a chiropractor; recently she was a Pharmacist Assistant. Barb enjoyed growing flowers, music, and her canine friends, Brutus, Peanut, and Frank. Barb is survived by her husband Denny, her mother, Connie Sletten, Wahpeton; her brother, David (Kathy) Sletten, Boise, ID; her sisters, Bonnie Sletten, Meridian, ID; Diane (Duane) Finnie, Wahpeton; step-children and five nieces and nephews. She was preceded in death by her father, Milton, and an infant daughter.